Jules Verne. Volker Dehs. Patmos Verlagshaus, Artemis & Winkler: Düsseldorf, 2005. A modern biography by one of the world’s premier Verne scholars. Currently available only in German. Jules Verne. Kenneth Allott. The Cresset press: London, . Jules Verne, The Biography of an Imagination. George H. Waltz. H. Holt and Co.: New York, 1943. Jules Verne. Marguerite Allotte de la Fuye. Staples: London, 1954. Jules Verne, Prophet of a New Age. Marguerite Allotte de la Fuye. Coward-McCann: New York, 1956. Jules Verne: Master of Science Fiction. I.O. Evans. Sidgwick and Jackson: London: 1956. Translated from the German by: Juliana Biro. Illustrated by Peter P. Plasencia. Jules Verne and His Work. I.O. Evans. ARCO: London, 1965. 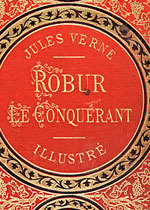 The Jules Verne Companion. Peter Haining. Souvenir Press: London, 1978. 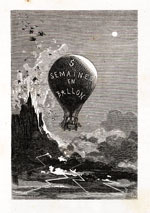 Jules Verne: The Man Who Invented Tomorrow. Peggy Teeters. Walker and Company: New York, 1992. The Jules Verne Encyclopedia. Brian Taves & Stephen Michaluk, Jr. Scarecrow Press: Lanham, Md, 1996. Science Fiction Studies, March 2005. The entire issue devoted to research on Verniana. 20,000 Leagues under the Sea, the most critical translation by Rick Walter with additional commentary by Walter Miller. The Walter translation is also available on Project Gutenberg. Twenty Thousand Leagues under the Seas: Unicorn Publishing House:1988. The original translation of Lewis Mercier with errors and omissions corrected by Ron Miller. Republished as a POD reprint on www.lulu.com. From the Earth to the Moon and Around the Moon: Heritage Press: New York, 1970. The original translation of Lewis Mercier with the errors and missing parts restored and corrected by Harold Salemson. Wesleyan University Press: (February 1, 2002). The first complete translation of this famous novel. Around the Moon, restored, edited and annotated by Norman Wolcott and Christian Sanchez, 2004. In this version the Lewis Mercier translation is used with the corrections, restorations, and annotations indicated in red text. In addition the original metric and antique units used by Verne are restored. Extensive notes are provided with a glossary of Victorian words. A Journey to the Interior of the Earth, translated by Frederick Amadeus Malleson, Wordsworth Classics, 199?. A Victorian translation still one of the best. Twenty Thousand Leagues under the Sea. Corrected, edited and annotated by Walter J. Miller. Crowell: New York, 1976. 150 contemporary illustrations. Restored and partially corrected from the translation of Lewis Mercier. From the Earth to the Moon. Translated and annotated by Walter J. Miller. Crowell: New York, 1978. 115 contemporary illustrations. 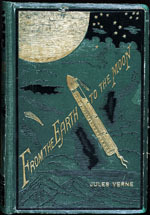 Around the Moon, edited by Norman Wolcott and Christian Sanchez; noted above. Invasion of the Sea , translated by Edward Baxter. The Mighty Orinoco , translated by Stanford Luce. www.gutenberg.org and a quick reference for downloading. A summary listing of the Voyages Extraordinaires with English and French titles and dates of first publication and number of illustrations. The Jules Verne Collection. All aspects of Verne research. Story lines from the 65 Voyages Extraordinaires and 20 other works. Pictures of the covers of early translated editions of Verne's works. Picture of the mock-up of the space capsule in From the Earth to the Moon in the National Air and Space Museum.